Acclaimed author Margaret George tells the story of the legendary Greek woman whose face "launched a thousand ships" in this New York Times bestseller. The Trojan War, fought nearly twelve hundred years before the birth of Christ, and recounted in Homer's Iliad, continues to haunt us because of its origins: one woman's beauty, a visiting prince's passion, and a love that ended in tragedy. 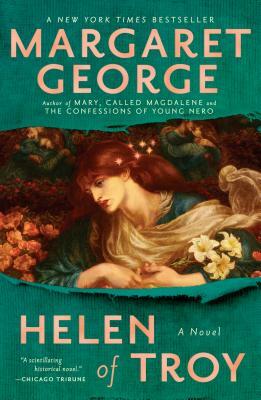 Laden with doom, yet surprising in its moments of innocence and beauty, Helen of Troy is an exquisite page-turner with a cast of irresistible, legendary characters—Odysseus, Hector, Achilles, Menelaus, Priam, Clytemnestra, Agamemnon, as well as Helen and Paris themselves. With a wealth of material that reproduces the Age of Bronze in all its glory, it brings to life a war that we have all learned about but never before experienced.